View More In Tea Strainers & Filters. Drawstring Tea Infuser Filter Bags * Tea Time Just Got Even Better! No Fussing. No Staples. No Mess. No Bad Taste. - Spoon - Secure - Steep - Sip ..... & Enjoy! SIMPLICITY *Easy to Carry & Disposable * Simply Spoon - Secure - Steep - Sip ...... & Enjoy! ABSOLUTELY *No Fussing. No Staples. No Mess. No Bad Taste. 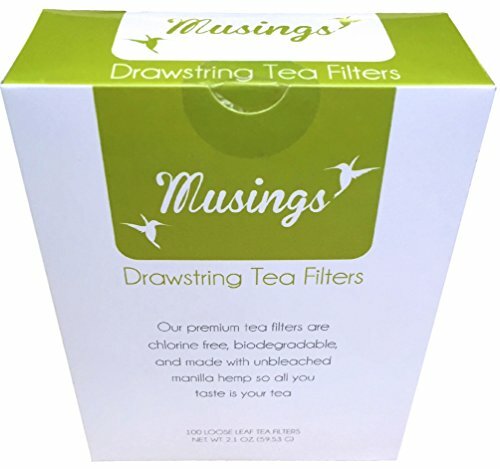 If you have any questions about this product by Musings Tea, contact us by completing and submitting the form below. If you are looking for a specif part number, please include it with your message.